Biologist, Dr Suzanne Simard (How Trees Talk To Each Other) and German Ecologist Peter Wohlleben (The Hidden Life of Trees) tell us how plants communicate, have relationships with each other and how they do all this through biologic systems and electrical fields. But plants don’t just communicate with each other, humans also have electrical fields and biologic systems and it’s through these subtle states that we can enter the field of companionship with the more-than-human world. 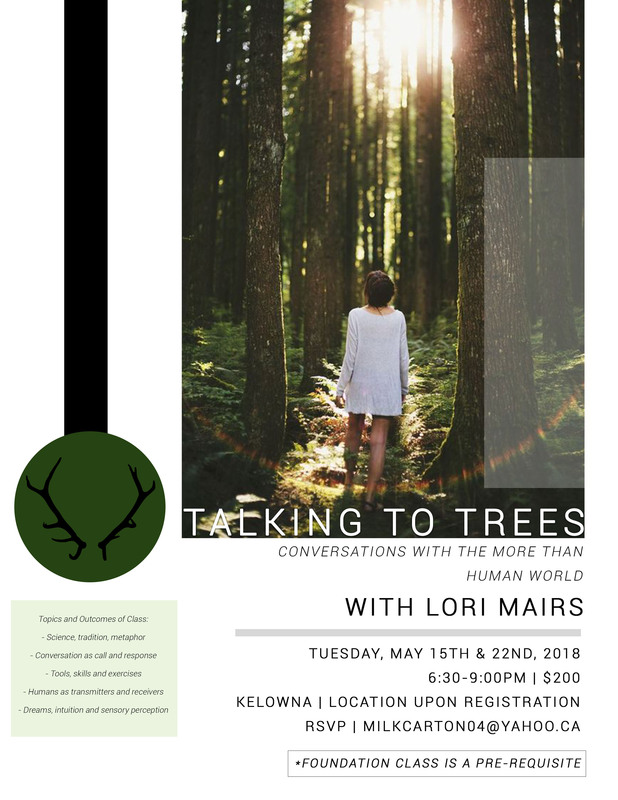 These two evenings (with Foundation class as a pre-requisite) are an introduction to the kinds of relationships that are available between humans and plants, humans and critters and humans and all eco-systems. Lori will provide practical tools, exercises, homework assignments and a guided experiential inquiry to help you move into alliance with nature be it a forest or your own back yard. Lori Mairs is an ecological artist and academic researcher, she was the Caretaker of the Woodhaven Nature Conservancy for 15 years. Lori tutors University students and teaches workshops as a personal growth consultant. Well worth the time to take these courses. your life will change. for the better.